BetEasy are the newest bookmaker on the block. 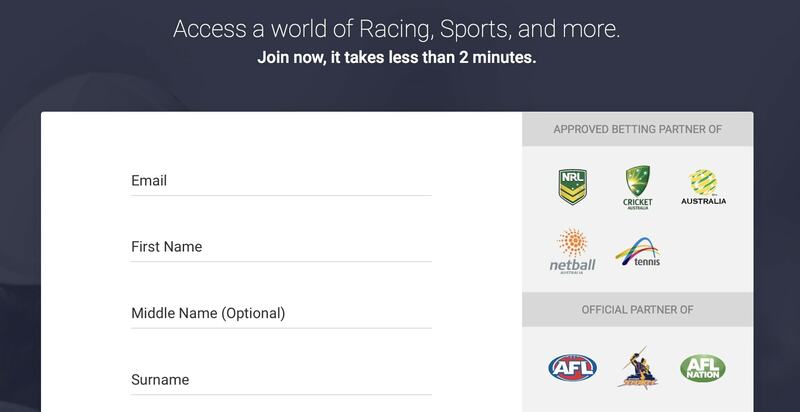 Set to shake up the betting market this powerhouse have full access to sky racing vision of horse racing which not many do. You really would be in great safe hands making the switch to BetEasy. The sign-up process is quick and easy and only requires a few minutes of your time. A verification method is required once you have made a deposit but that is done with easy. Simply head to the join now page enter your details and you will have a BetEasy account in minutes. BetEasy are currently offering a sign up bonus of up to $100 for people that join through KRUZEY after reading this review. Simply click on the link for a new account and the promo code is automatically entered. Deposit your funds and away you go, BetEasy will take care of the rest and add the bonus to your acc. T&C’s apply. Check there website for more information. It’s certainly worth it for new account holders to use the bonus to try out BetEasy services for the first time. Promotions on lots of upcoming sports and racing features including enhanced odds. BetEasy offer a vast array of markets for both, sports and racing. They cover every single horse that is run in Australia and cover all the main international horse races too. With the live vision on hand also this really is one stop shop for horse racing. They also cover all the major sports being played and futures markets on upcoming events E.g. The Olympics, AFL, EPL, NBA, MBL finals events. BetEasy have an impressive mobile app available on Android and Apple devices. This app was carefully designed to ensure that the user experience was always first and for most, and it provides an experience like no other betting app on the market. Bettors can place bets on the latest sports and racing events throughout Australia and International with ease. they can also place bets on live events simply through a phone call to BetEasy. contact support services and view all current promotions. To get more info or to download the BetEasy app, visit the site. Wondering what deposit and withdrawal methods are available on the BetEasy platform? Well deposit the following methods are available. Credit Card, Bank Transfer, Cheque, Skrill/Moneybookers, BPAY, POLi, and as for withdrawing your money back out of BetEasy you could use BetEasy Card, Bank wire, Skrill/Moneybookers. Contacting BetEasy for support is easy, they have many support options available including live chat services, emailing them filling out the contact form on the website but this can take up to 48 hours so if your request is really urgent its best to call via telephone on 13 27 69. Which is open 24 hours. BetEasy are big on responsible gambling and want to ensure that they do whatever they can if gambling is becoming an issue for you. This includes setting betting limits to deposit limits all the way down to temporary self-exclusion. Check out there responsible gambling page for more information regarding this, you can find that here. Responsible gambling. You really could do no wrong in choosing BetEasy as your preferred online betting agency, apart from being the biggest and the best they really do above and beyond to ensure your time there is of the highest quality. From having some of the best bonuses and promotions on the market to there ever so user-friendly app its one betting agency that is sure not to disapoint. Click here to check them out and get started today.